What did Jesus really teach us about prayer? You've likely scratched your head over this verse, wondering how literally to take it. Could Jesus have been serious about His over-the-top declaration? Can you really ask for anything? 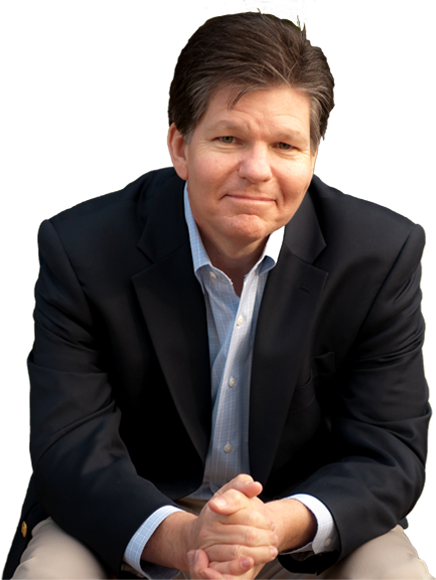 If you think these words can't possibly mean what they say, Craig Hazen wants to reveal the astonishing reality of this promise. You'll learn why Christians hesitate to embrace this powerful statement and how you can put it to work in your life for the sake of God's kingdom. According to the Lord himself, “asking” is the center point of prayer. He wants us to bring our fruit-bearing requests to him boldly and with expectation for the blessing of his answer. He wants to hear our Fearless Prayer! Insightful, inspiring, invaluable—here's a captivating book on prayer that goes far beyond mere platitudes. My friend Craig Hazen takes a unique approach that will stimulate your mind as it stirs your heart. Read on -- and be prepared to grow! What makes this book stand out from all the other books on prayer is Hazen’s skillful grounding of prayer is a brief but powerful defense of a Christian worldview and his destruction of naturalism that all of us in the West have absorbed from our culture. This is now the go-to book on petitionary prayer. This book is powerful—even as a lifelong Christian, it completely transformed my thinking on the nature of petitionary prayer. 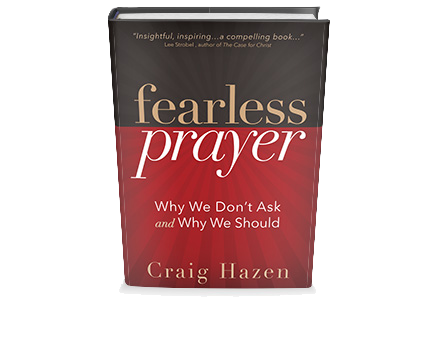 Fearless Prayer will mercifully deliver you from your uncertainties and seat you at the inviting feet of your Father—who, as Hazen artfully shows, is waiting to bless His children with every good gift for bearing fruit in His kingdom. Fearless Prayer is a wake up call for Christians today. 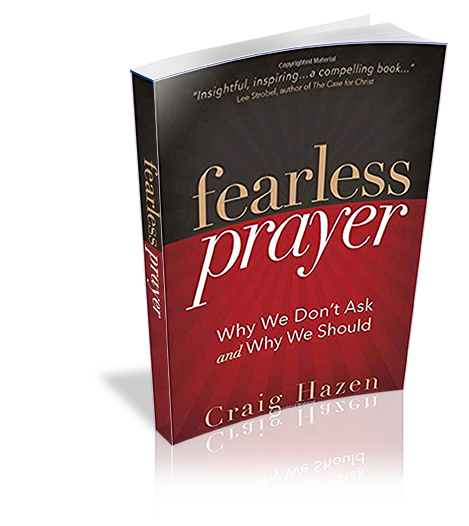 With stories, examples, and biblical support Hazen makes the case that we have wildly underestimated the power of prayer. Reading this book personally challenged me to pray more fervently and with greater faith. I hope you will pick up a copy of this book and take the challenge too. If you would like to know more about Fearless Prayer or contact Dr. Hazen for a speaking engagement, please fill out our contact form below.